Spending time outdoors fishing, hiking, or simply exploring can be made much more comfortable with these Danner Men's Elk Brown 32226 Jag Wool Waterproof Boots from Working Person's Store. They can keep your feet dry and supported. Not to mention, they feature a du ... (see full details) (see specifications) #32226. Spending time outdoors fishing, hiking, or simply exploring can be made much more comfortable with these Danner Men's Elk Brown 32226 Jag Wool Waterproof Boots from Working Person's Store. They can keep your feet dry and supported. Not to mention, they feature a durable upper and an outsole specifically designed for outdoor use. For starters, these men's wool boots are comfortable. They feature not one but two characteristics in comfort, including a cushioning OrthoLite footbed and an EVA midsole. The footbed, which is made from single-density polyurethane, features an open-cell design. Aside from providing you with cushiony support, the open-cell design offers heat dissipation, even weight distribution, and increased airflow. Between the increase in air circulation and the heat dissipation, your feet will be left feeling cool and sweat-free. Aside from the footbed, the waterproof Elk brown boots are made with a midsole that's also lightweight and supportive. The stabilizing midsole is made from EVA, and it works to reduce foot pain by absorbing the shock that results from ground strike impact. As your feet hit the ground, the midsole will absorb the force of the impact, so your foot doesn't have to. Moreover, these men's brown boots are waterproof. 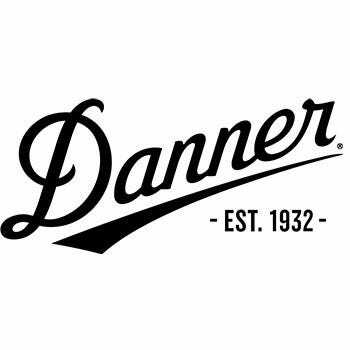 They're made with Danner Dry technology, which offers waterproof protection that makes sure you have long-lasting dry comfort. In addition, the upper features wool, which does not become saturated with moisture. The leather boots can keep you dry wear after wear. Last but not least, these men's shock absorbing boots are made to last. They feature a durable upper crafted from premium full-grain leather and wool. While the wool serves purposes of waterproof protection and warmth, the leather offers toughness. It stands up well to wear and tear. Beneath the leather upper is a Danner Waffle rubber outsole. It is hardy, like the upper, but it is also made with classic hiking tread pattern on the bottom to provide better grip on a variety of surfaces. To enhance your comfort when exploring outdoors, get these Danner Men's Elk Brown 32226 Jag Wool Waterproof Boots here at Working Person’s Store today. Danner Boots: Men's Elk Brown 32226 Jag Wool Waterproof Boots is being added to your cart.